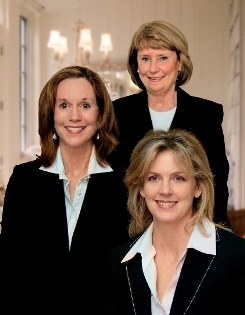 3 Agents to assure the best possible service and coverage. Available to clients 7 days a week by cell phone, voicemail, fax and email. For a Seller -- Continuous feedback on market conditions, competition and buyer reaction to your property. Marketing revised as needed. For a Buyer -- Continuouse updates on new listings and market conditions via phone and email. Our office is staffed 7 day a week from 9 am to 6 pm. An Appointment Center manages all appointments. Has the sophistication and business experience to relate to, and understand properties in all price ranges. Has the discipline, patience and personal commitment to provide consistent and ongoing creative marketing and advertising until the property is sold. Has the confidence and a fiduciary responsibility to provide honest, continuous feedback on market conditions and competition, and buyer reaction to your property.